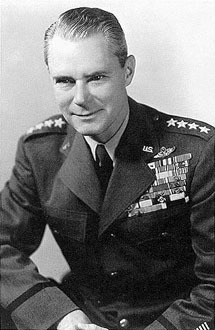 Second Chief of Staff of the United States Air Force. Director of the Central Intelligence Group, predecessor to the CIA, June 1946 until April 1947. Retired from active duty June 30, 1953. Vandenberg Air Force Base is named after him. Walter Reed Medical Center, Washington, DC. Son: Hoyt S. Vandenberg, Jr.